I’d wager that most historians are hooked on history primarily for the thrill of research, leafing through archives, puzzling over old photographs, wandering down side-streets in obscure places in search of long forgotten buildings where the events or people we are researching once happened or inhabited. Publication in the form of articles or books, and presentations in the form of talks or conference papers can be rewarding, but, for me at any rate, they don’t come anywhere close to the feeling of actively being engaged in digging down to find the bedrock of research which belies all our work. It’s a thrill which we often discuss amongst ourselves. It’s quite common for historians on Twitter to post photographs of the doorways to libraries or archives they are about to enter, with a gleeful note of anticipation – saying they are entering for a day of trawling through the archives. “I maybe sometime …” No need to send a search party if I don’t emerge, because I’m happily immersed in my element. The past is a foreign country, and many of us would be more than happy to permanently emigrate there! Listen to the podcast by clicking right here! Jenny Balfour Paul recently featured in Jetwings magazine. You can read the full article here! The cultivation of indigo dye across the Indian subcontinent is growing. From 9-12 November last year, an international event on the revival and resurgence of natural indigo—Indigo Sutra—was held in Kolkata. It aimed to ‘create awareness of reviving the cultivation of indigo in Bengal and other places where it had stopped due to political unrest or other reasons and also to encourage the use of natural indigo dyeing using natural methods’. 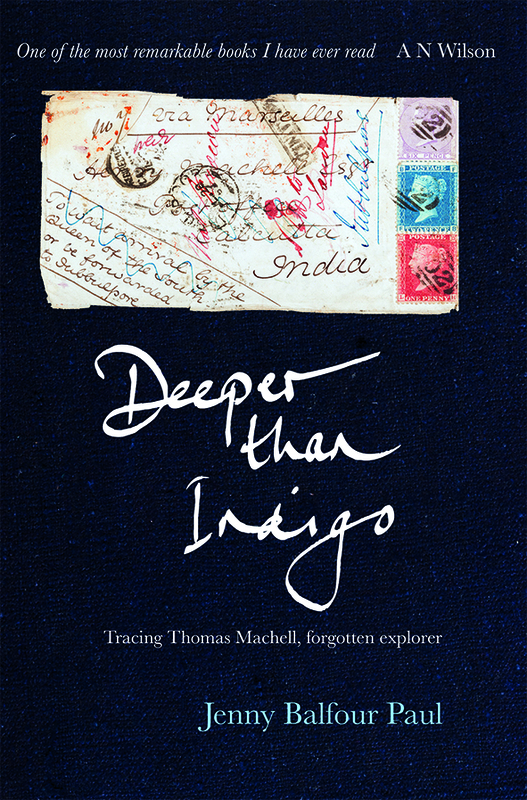 Here, its chief advisor and author of three books on indigo, Jenny Balfour Paul, recounts her experience there, ahead of the making of a Channel 4 news programme on the subject this autumn, which came about as a result. Listen to Jenny Balfour-Paul’s podcast from Maiwa. Recorded at the 2016 Maiwa School of Textiles Lecture Series on September 19, 2016. See the original upload here. Indigo was once so widely used to dye everything from military uniforms to muslin frocks that the roads ran blue with it, as in Rajasthan.